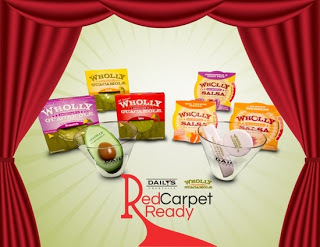 What better way to end the busy week, and begin the weekend than by entering to WIN a great prize pack that includes a variety of Wholly Guacamole products, Daily's Cocktails and a $50 Walmart gift card! Fitness Test Friday: Moving Forward! Cooper Tire’s "My Every Day Road Trip" Contest! Leprechaun Trap - Happy St. Patrick's Day! Fitness Test: My Results Are In! I Just WON and You Can Too! In Like a Lion, Out Like a Lamb! Listerine 21 Day Challenge: Noticeable Results! HOT! Boogie Wipes Coupon in This Sunday's Paper!